Carlo Sementilli has been a Realtor for the past 6 years, joining the Sementilli Property Team lead by AnnMarie Sementilli in 2012. They specialize in Fairfield & Westchester Counties. With over 26+ years of combined experience, Sementilli Properties is dedicated to finding clients their perfect home. Carlo prides himself on being fluid in the ever-changing Real Estate environment. He stays on the forefront of these changes, being well-versed in all social platforms and the digital space in order to meet his clients needs in their home search or home sale. He believes in educating his clients on the buying & selling process as well as the marketplace so they feel fully prepared on their journey. Carlo makes himself available to his clients, devoting his time and attention to give them the most personalized level of service. 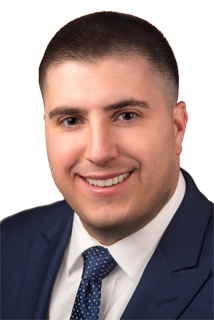 Growing up in South Salem, NY and being an active participant in the neighboring New Canaan community, Carlo has extensive knowledge of the area. He graduated from Sacred Heart University in 2009 with a Bachelors Degree in Business. He has experience in Marketing, Sales, & Customer Service, giving him a well-rounded skill set to be a valuable Realtor. Updated rental with large eat-in kitchen, hardwood floors throughout, freshly painted, storage in basement. 1248 Square feet of living space.